BOSTON, Dec. 1, 2017 /PRNewswire/ -- Wildlife Acoustics, makers of the Song Sleuth bird identifying app, today announced the launch of the "Song Sleuth with Sibley" Sweepstakes presented with L.L.Bean, giving bird lovers the once in a lifetime opportunity to bird with David Sibley, renowned artist and author of Sibley's Guide to Birds, during the L.L.Bean Birding Festival, May 26-28, 2018. 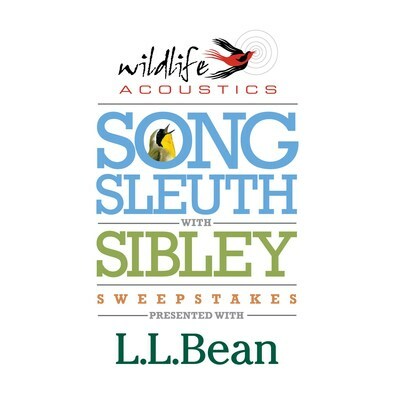 Birding enthusiasts can enter to win this amazing experience, including a $1,000 L.L.Bean shopping spree, at https://sweepstakes.songsleuth.com. Song Sleuth is a simple to use application that enables anyone with an iOS device to record, recognize and positively identify the songs of nearly 200 North American birds. 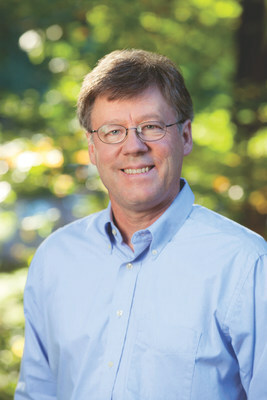 "Maine is one of my favorite places, for birding or otherwise," said Sibley, who collaborated on the development of Song Sleuth. "I look forward to sharing the majesty of the area and my birding knowledge with the winner during the height of spring migration in the area." The sweepstakes winner will receive air travel and hotel accommodation for two to Freeport, Maine, for three nights, two birding outings and one meal with David Sibley, a $1,000 shopping spree with a personal shopper at L.L.Bean's flagship store, and two copies of the Song Sleuth app. "We are pleased to team up with David and L.L.Bean to give one lucky birder the opportunity to not only add to their life list, but also cross one off their bucket list," said Robert Gierschick, Wildlife Acoustics Director of Marketing. "It's a chance to not only 'check your Sibley', but to actually check with Sibley." The 2018 L.L.Bean Birding Festival in Freeport, Maine, will be held Friday, May 26 through Sunday, May 28. The festival includes multiple birding outings, presentations by birding experts, and other birding related activities. The sweepstakes coincides with the launch of Song Sleuth 2.0 in mid-February. Along with new capabilities and the addition of more species, an Android version Song Sleuth will also be introduced. To enter and for Official Rules and complete details visit https://sweepstakes.songsleuth.com. The sweepstakes ends on March 1, 2018. No purchase necessary to enter or win. A purchase or payment of any kind will not increase your chances of winning. Sweepstakes begins on 12/1/2017 at 12:01 AM Eastern Time ("ET") and ends on 3/1/2018 at 11:59 PM ET. Void in Alaska, Hawaii, Puerto Rico, all U.S. territories and possessions and all overseas military installations and where prohibited by law. Subject to all federal, state and local laws. David Sibley is the iconic self-taught bird illustrator and foremost authority on North American birds. His seminal work, "The Sibley Guide to Birds," (2000) made him a fixture in the birding world and includes 6,600 of his beautiful and detailed watercolor illustrations. Learn more at www.sibleyguides.com. Wildlife Acoustics, Inc., (www.wildlifeacoustics.com) is the leading provider of bioacoustics monitoring systems for scientists, researchers, and government agencies worldwide. Founded by Boston's technology success story Ian Agranat, Wildlife Acoustics creates groundbreaking and affordable hardware and software tools for biologists and researchers who monitor a multitude of wildlife, including but not limited to birds, bats, frogs, insects and marine life, through bioacoustics; an emerging field of research that combines biology and acoustic data to gain insights into the natural world.